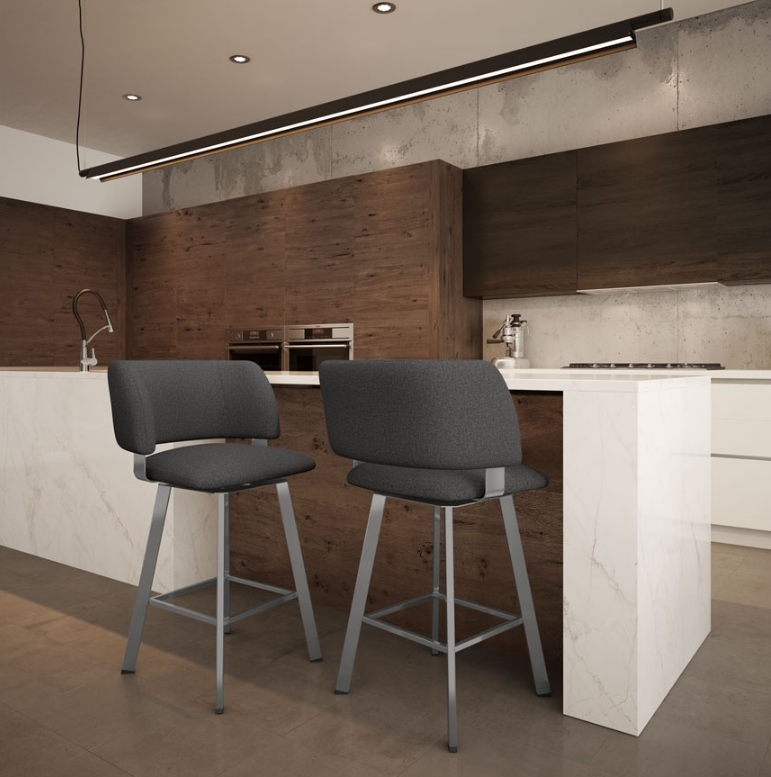 Seat Height: Counter 26" Bar 30" Spectator 34"
This stool features a comfortable seat and rounded back on an attractive pared-down base. Hard angles on the bottom provide welcome contrast with softer lines on top. With it's ultra sturdy steel frame, well cushioned seat and backrest complements any space. Suitable for Residential and Commmerical use. Bar W 22" D 20 3/4" H 41 1/4" S 31"
Spectator W 22" D 20 3/4" H 45 1/4" S 35"